The menu will change according to the season. 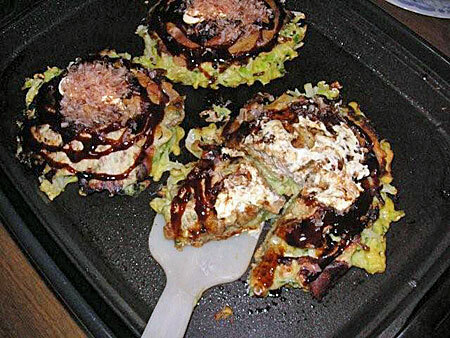 Okonomiyaki is an omelet-like, Japanese style pancake consisting of thinly sliced cabbage, green onion, and pork-belly topped with a BBQ-like sauce and mayonnaise. *Many Variations are possible:Shrimp, squid, cheese, etc, can be added to okonomiyaki. 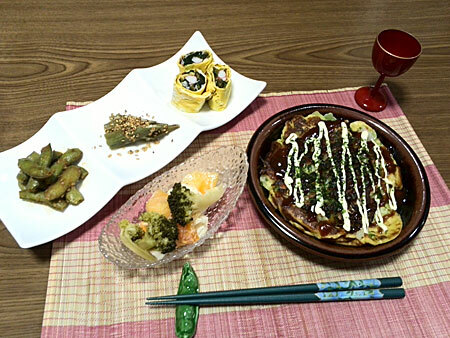 If you want to add some variations ( Okonomiyaki), the price might be up. All of their prices are included lesson fee and pick-up service. I will hand out the recipes. Please join me in the preparation – this course is hands-on. 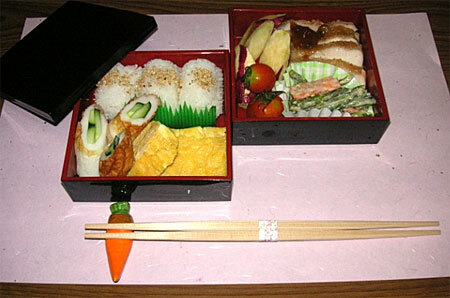 There are some elaborate traditional preparation techniques which the professional chef uses in their restaurants. However, I want to simplify your cooking, by using simple home Japanese techniques. 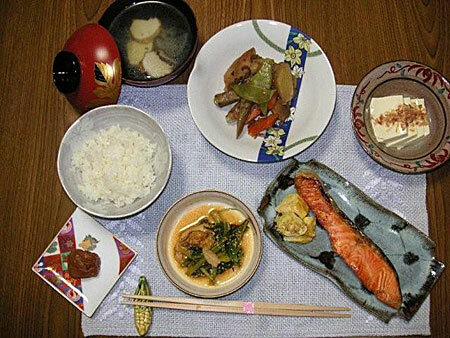 I want to take out the hard work sometimes involved in Japanese cooking, and to make it a simple daily meal in your house. 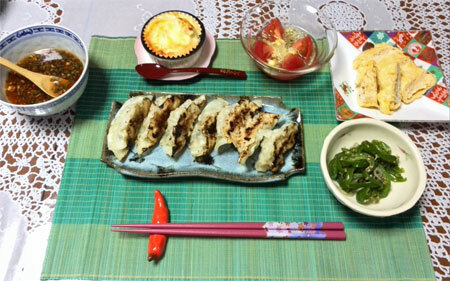 After preparing our meal, we can eat together and enjoy a cross cultural conversation over our Japanese homemade dishes.